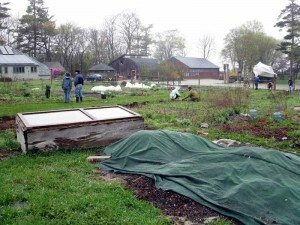 Our local college campus has a community garden plot just down the road from my mother’s new digs. I applied for a plot in the depths of January and got the call to come down to work day and claim my space just last week. Fifteen of us had a wonderful Saturday morning hauling old logs up the hill to the new vineyard site and cutting turf in under cloudy, windless skies. 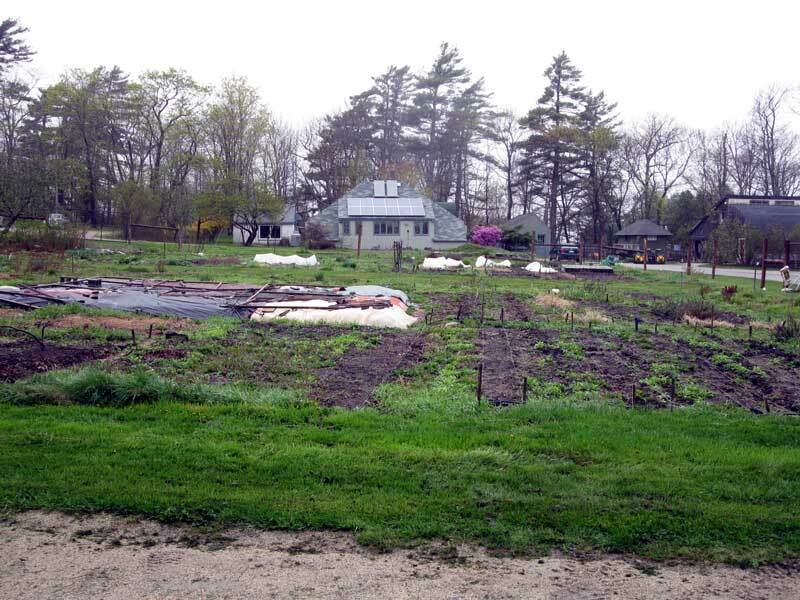 The site has some of the problems common to community gardens: a bad case of clubroot and invasive populations of comfrey, sowthistle, bindweed, and witchgrass. 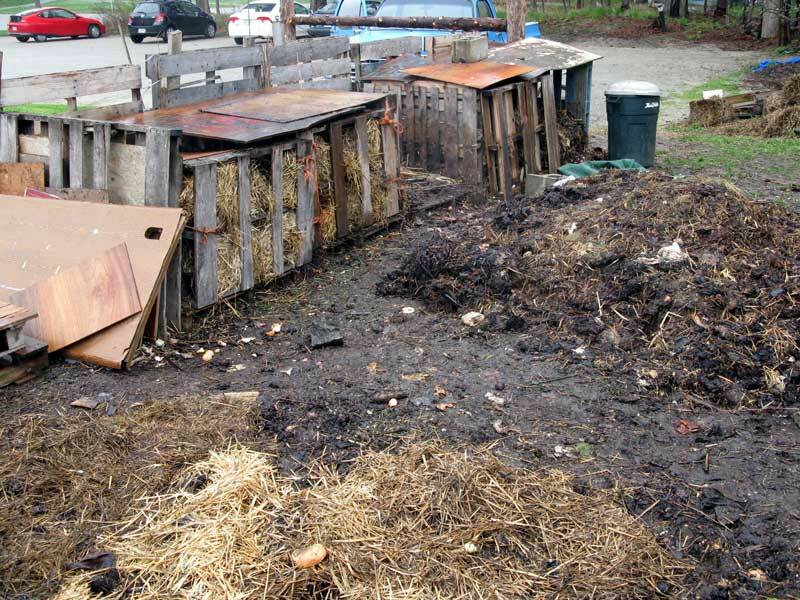 Clubroot spreads easily on tools and shoes, especially in the damp spring weather, and rototilling has contributed to the spread of invasive perrenials, but current management has good protocols in place to keep these problems from spreading. Shoes and tools are rinsed in a bleach solution upon leaving the plot. 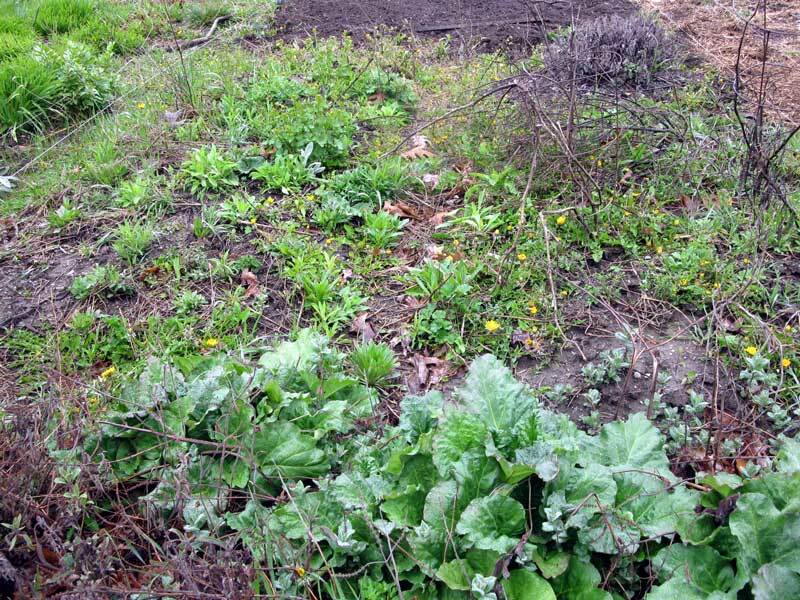 I prefer to cut comfrey down to the ground because the leaves make an excellent mulch, but if you’re in the mood to pull them out each type of weed has a dedicated disposal area (the sowthistle has its own glass-topped “coffin”). The good news is that the soil is rich, deep and organic, and supplemented with abundant compost from the college cafeteria. 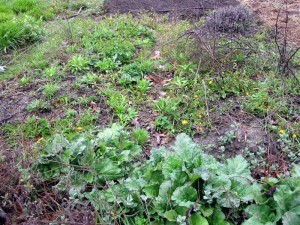 Here’s what my 10′ x 10′ plot looks like now – I’ll be posting updates as the season progresses. Today the soil was too wet to start work without damaging its structure. And here’s a photo of the raisin sour cream coffee cake I brought with me. You should always show up at work-day with high quality fuel. Preheat oven to 350°F. Butter or spray a 9-x-13-inch baking pan with Pam. In a large bowl, cream butter and 1 1/2 cups sugar. Beat in egg yolks and vanilla. Sift flour, baking soda, baking powder and salt together into a separate bowl. Mix in sour cream and then dry ingredients alternately into butter mixture until both are used up and the batter is smooth and very thick. Mix in 1 1/2 raisins, reserving 1/2 C of the raisins as a topping. In a medium bowl, beat eggs whites until stiff, then fold into batter. In a small dish, whisk together sugar and cinnamon for filling and/or topping. Spread half the cake batter in the bottom of prepared pan. Sprinkle with half of cinnamon-sugar mixture. Dollop remaining cake batter over filling in spoonfuls. Use a rubber or offset spatula to gently spread it over the filling and smooth the top. Sprinkle batter with remaining cinnamon-sugar and remaining raisins. Feel free to ignore this step and just sprinkle the entire portion of cinnamon and sugar on top of the cake with the remaining raisins. It will still be totally delicious. Bake for 40 to 50 minutes, and it’s even better the next day. 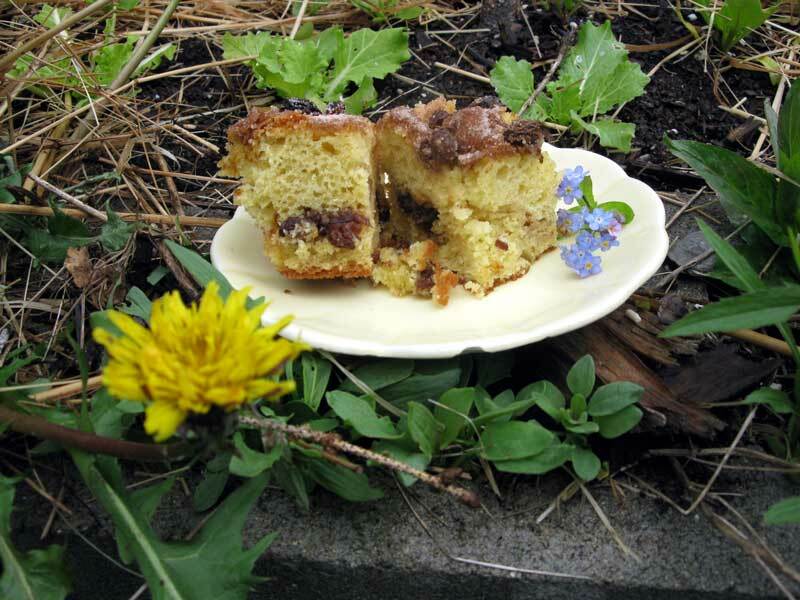 This entry was posted in dessert, gardening, recipe and tagged Bar Harbor, cake, dessert, garden, recipe, spring on May 5, 2012 by APo.